You can participate in the following community spaces for support and friendship with faculty, staff, and fellow undocumented students. You are not alone! 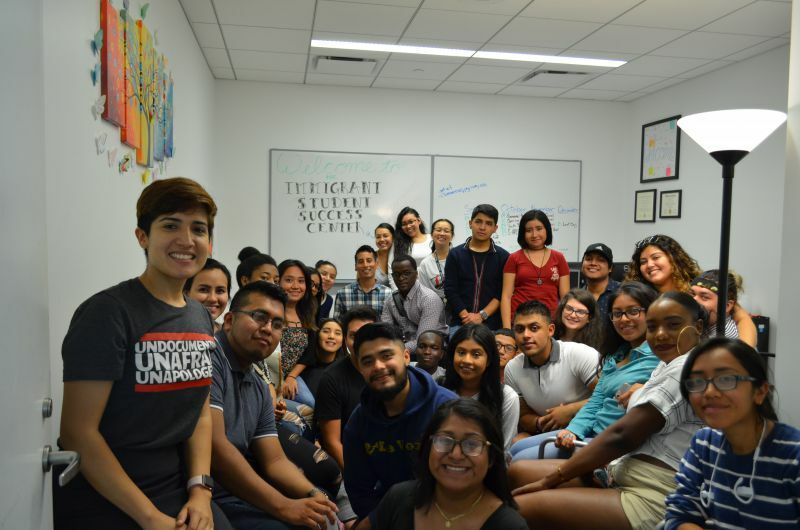 This student organization aims to educate and unify the student body on immigration issues, while representing and protecting the needs and aspirations of students both documented and undocumented. To join, contact JJ Dreamers, johnjaydreamer@gmail.com. A digital space for JJ DREAMers to connect and share valuable resources. Pizza Tuesday during Community Hour, hosted by the department of Latin American and Latina/o Studies Department and SASP, occurs every Monday while school is in session. This is a safe and supportive space where you can spend time with fellow DREAMers, discuss pressing immigration issues, prepare for action, hang out, and of course, enjoy pizza! To find out more, contact Immigrant Student Success Center immigrantsuccess@jjay.cuny.edu.